The interface for designing pavements by the Austroads Pavement Design Method is streamlined. 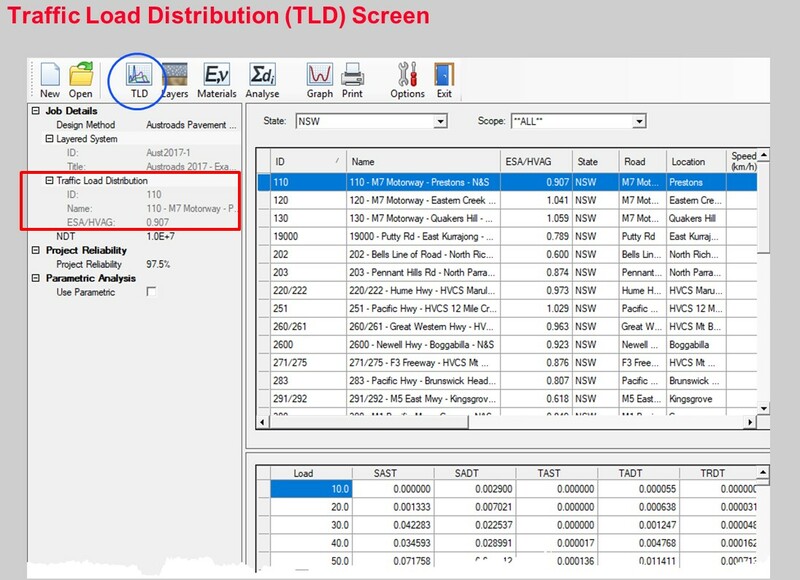 CIRCLY 7.0 has a database of 200 Traffic Load Distributions (TLDs) as published in the Austroads Guide to Pavement Technology: Part 2: Pavement Structural Design. The Traffic Load Distribution consists of the frequency distribution of Axle Group Loads. You can also Import your own TLDs. Updates will also be provided as State Road Authorities make presumptive TLDs available in their supplements.